It’s been a while since we’ve blogged, and having clocked up 3 years at the Anchor Bay Motel, I was reflecting on the diverse and wonderful people we meet from all over the place. 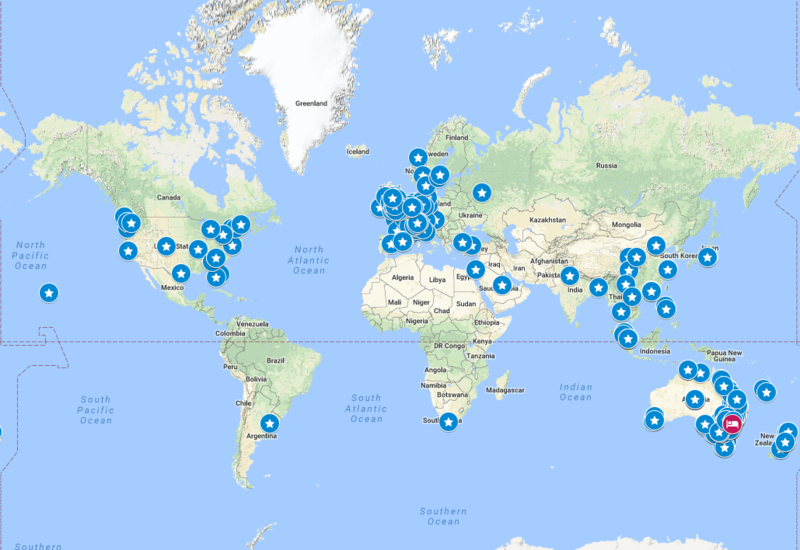 With a click here, and a click there – we’ve managed to put together a handy little map which shows were our guests all hail from. Amazing. Follow the link to view the full map.